Bicycling has increasingly become popular in our society these days. With that increase came an increase in the popularity of electric bikes. They are very cool to ride and they help out the environment as well as your physical health. 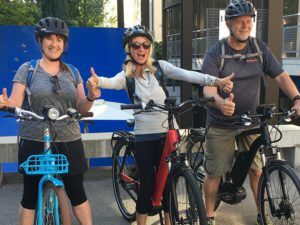 Let’s talk about some of the top reasons why electric bikes are popular in 2019. Have You Had The Pleasure Of Riding One? They are really cool and I think everyone should at least try it. 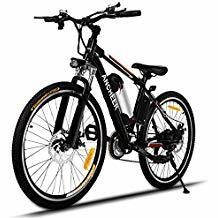 If you have a need to get around and you have to ride a good distance an electric bike will give you some physical help for those times that you run out of energy. From climbing hills to giving you that extra boost you need. I had never ridden one but I needed a way to get my lawn service up and running. I had no truck no trailer and only the necessary equipment to maintain a yard. 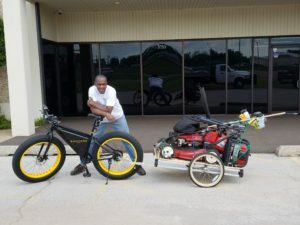 I thought I would get an electric bike and put a trailer on it to get around. My bike took me some great distances and got the job done on top of it. I was impressed with how it performed considering the trailer weighed anywhere from 85 to 100 lbs plus my weight. I did have two batteries in case I ran out of power but I only had to use the second one once because I did a round trip totaling about 30 miles. It even helped me outrun a few dogs even with the trailer hooked up. But truly, they are fun to ride and you can even just pedal it if you so desire. And that is a plus if you do run out of power by chance. Because it is basically a bike with a motor hub you get the best of both worlds of bike riding. 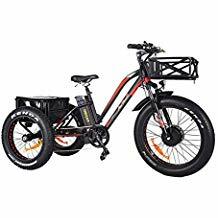 I think it is also great because it allows your partner who may not be an avid bike rider as the other, accompany you on a good bike outing without the worry of not being able to physically handle it. Believe it or not, most people won’t try to bike ride because they think they physically can’t do it. 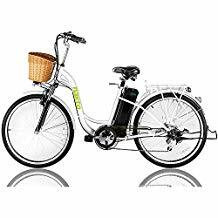 But an electric bike will give you a way to get started and gradually work your way into a good bike riding shape. If I was able to ride with a trailer that weighed about 85 to 100 lbs you can ride with only yourself with no problem. Many people are totally thrilled by them. I don’t know how many times people stopped to ask me where I got mine at and had a bunch of questions like how does it work, how much it cost, where I got it, is it motorized, is it heavy, is it hard to ride & many other questions. So intrigued is one reason they are popular and the next step is to try one. The fact they are able to assist you in pedaling it is another reason. Some people have a distance they are considering riding and the pedal assist they have is a great feature to help you make the route. 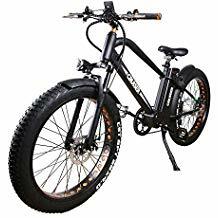 There are also many different types of them from mountain bikes, trikes, road bikes fat tired, fold up kind and more than you would think. So it will accommodate many different desires. 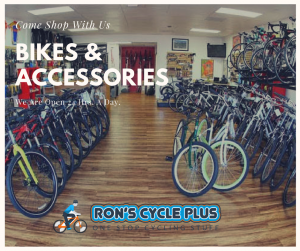 They are a little pricey with some models but they are well worth it because of how it is going to help you ride without overexerting yourself because you control how hard you want to work at pedaling it. Click Here for 10 reasons why they are so popular. I can’t stress more that bike riding is one way of helping you physically. It will help you lose weight, help your cardio, your muscles and many other things that you would not think or know it would. The great thing is it will allow you and your family to ride together because nobody has to worry about keeping up. This will give the whole family some fun but at the same time a good physical workout. There are the bike paths, your cities community attractions, parks or lakes that you can enjoy as a weekend outing that is truly a fun thing if you take the time to try it. 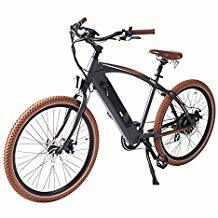 There are so many cool electric bikes that you can purchase but I want to just show you a few of them. 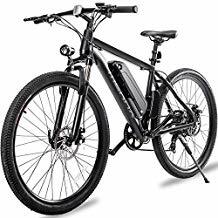 You can view even more in the Ebike section in our online store. But here goes some from Amazon that I think you would like. Take the time to check one out because you will see that it is very possible to find a new way to enjoy yourself or maybe even a new way that you choose your mode of transportation from time to time. Here goes a few of the select. As you see these are some pretty attractive bikes and this is just a few of them. 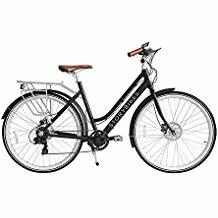 Between all the manufacturers of electric bikes, they have given us a wide range to make our pick from. I will attest that the batteries do hold their power until they are completely drained. I usually never ride using full power unless I need to go up a pretty steep hill. This also helps you to preserve the battery life. I usually put my batteries on charge at night to ensure that I have my batteries ready to go. 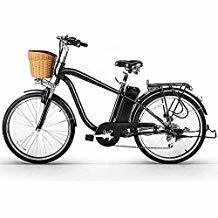 I think electric bikes are a great way to get back into the routine of bike riding. It is a low impact way for the older riders to enjoy riding again and not torque the joints. 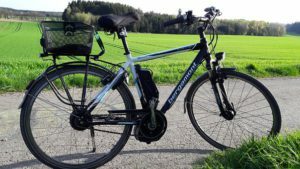 I am 60 years old but I still ride a conventional bike and use the electric bike when I am riding to work. It helps cut down on the perspiration. Then on weekends, my wife uses it because she does not ride as much as me and I join her on my conventional bike. So the idea that it got my wife to ride really makes it a popular item for me. I hope you enjoyed the article and I am very into answering any questions or comments you want to share with everyone. Just leave it in the comments section below. I will respond within 24 hrs. Thanks for visiting.